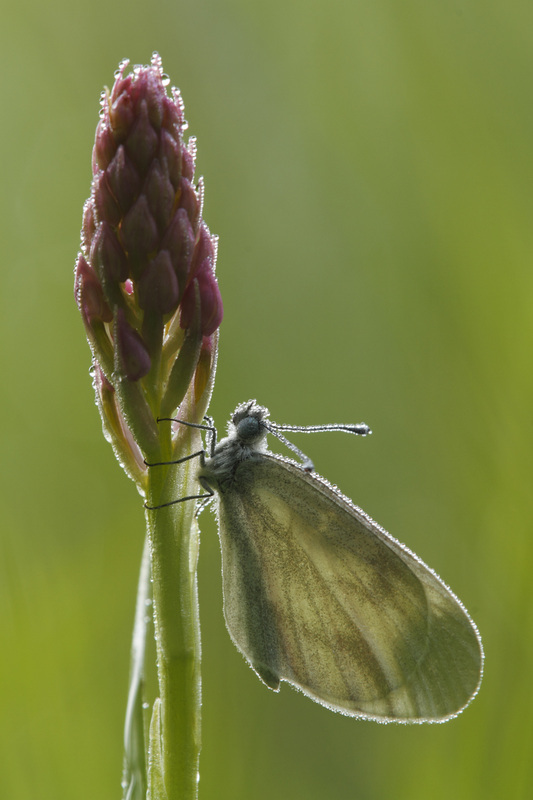 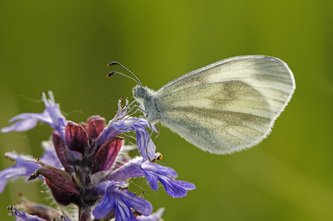 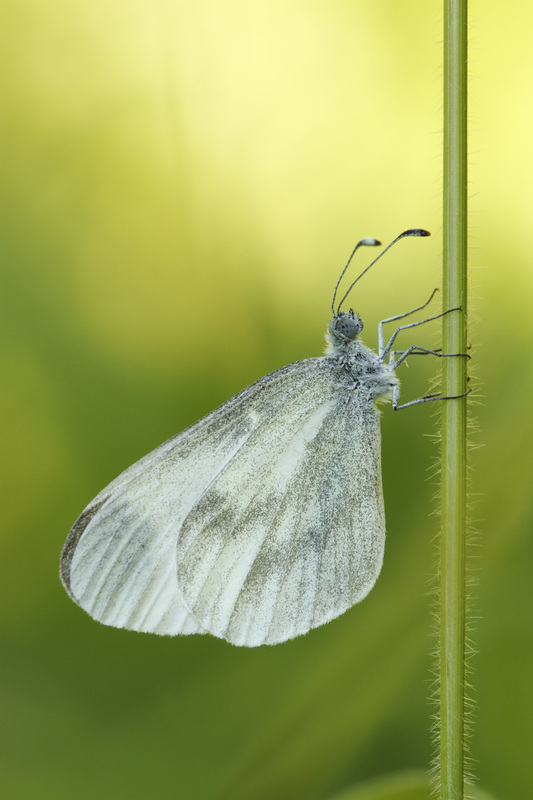 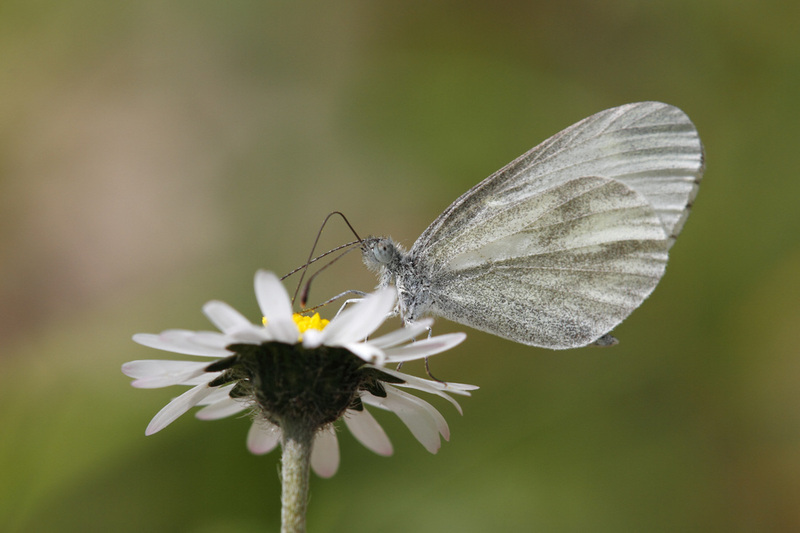 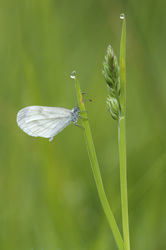 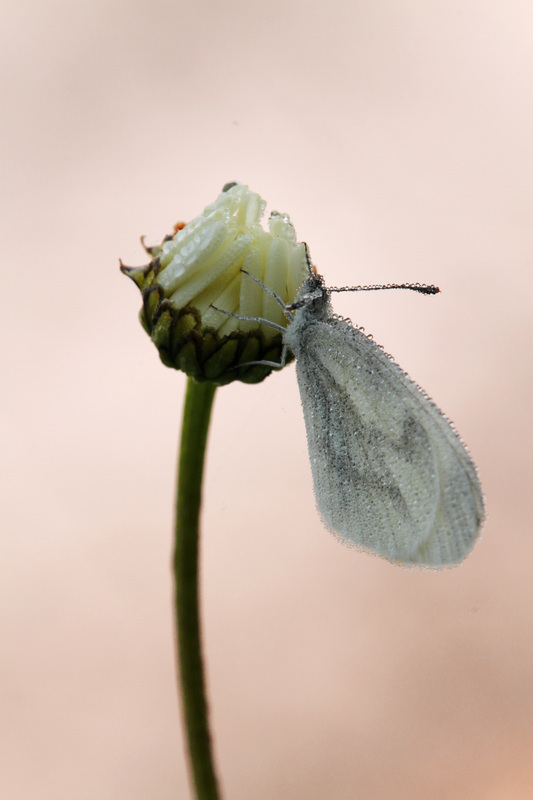 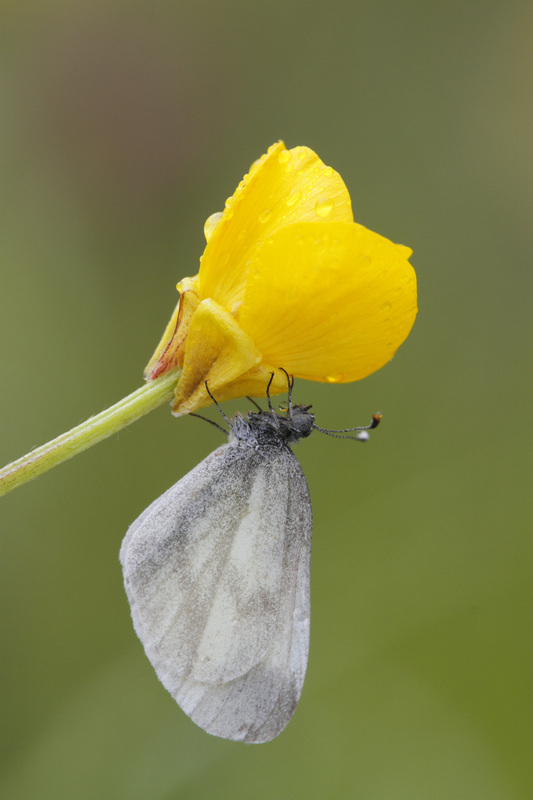 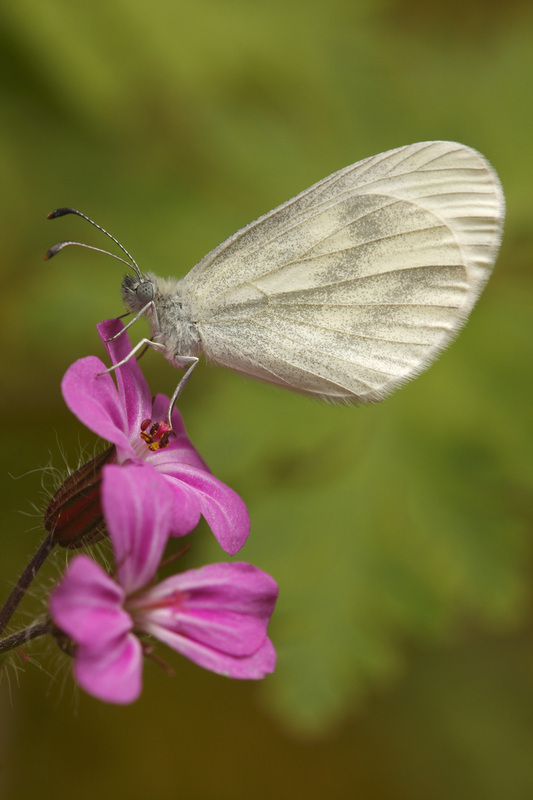 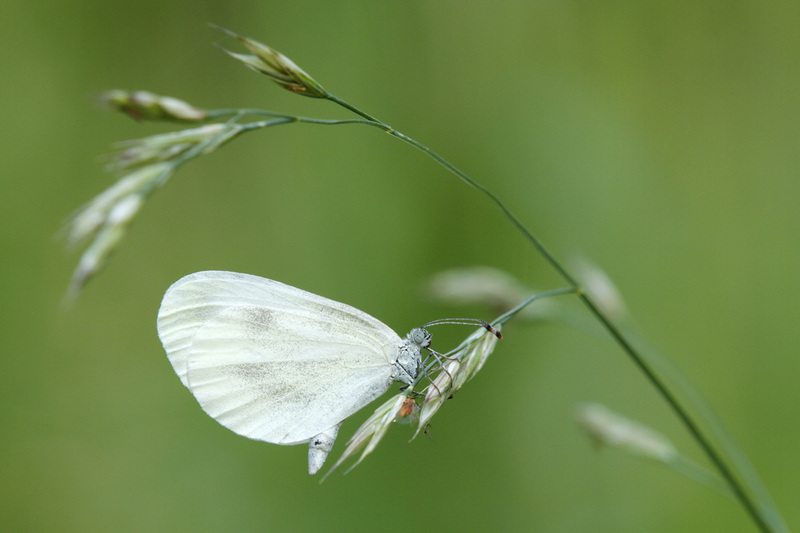 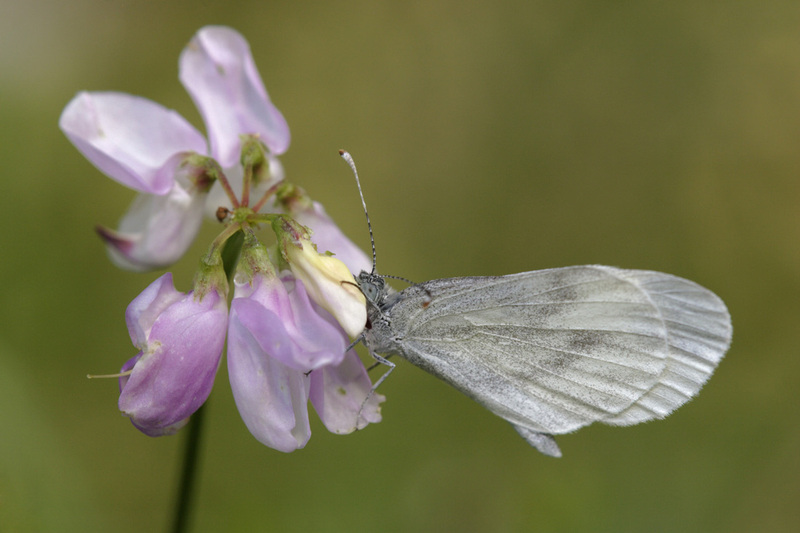 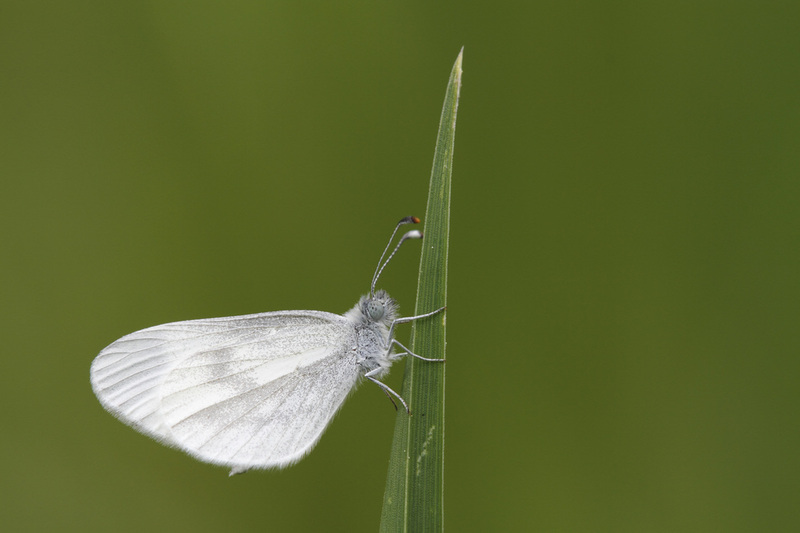 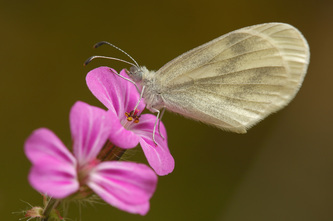 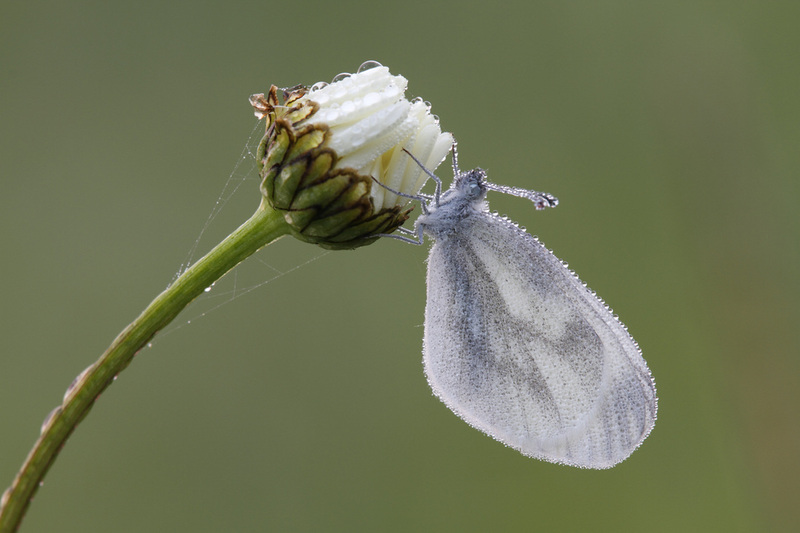 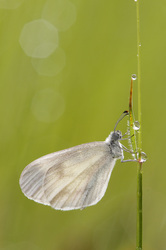 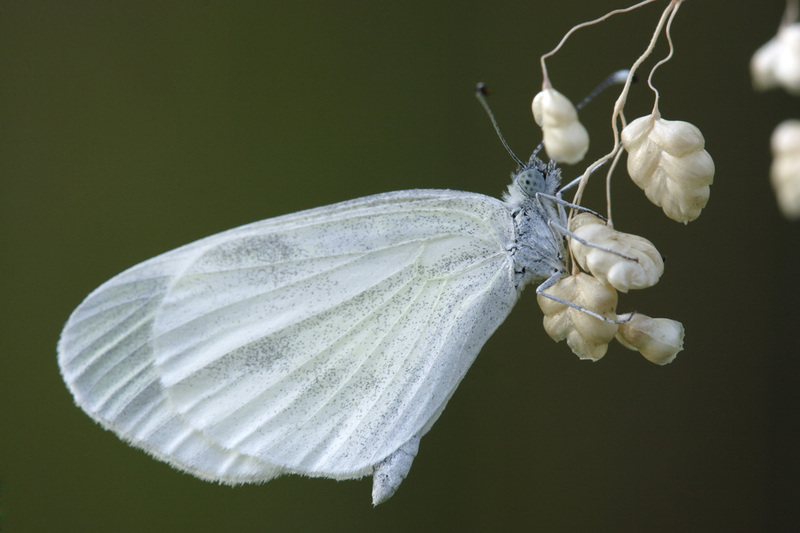 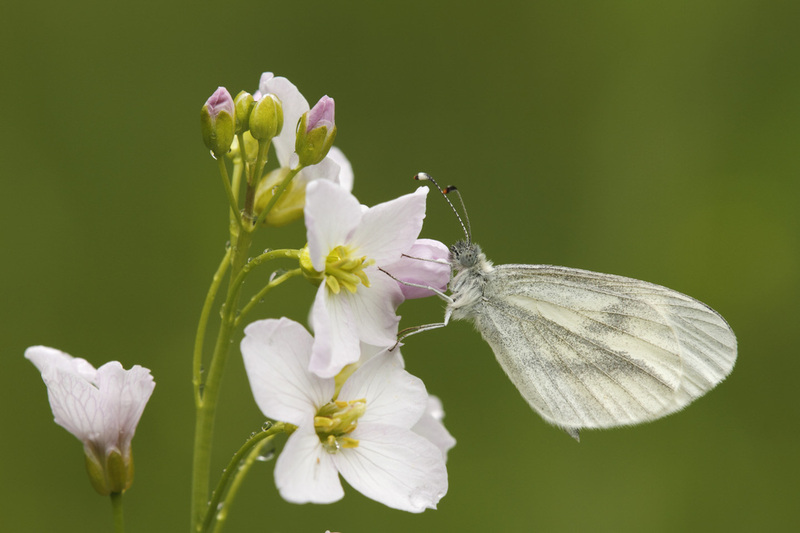 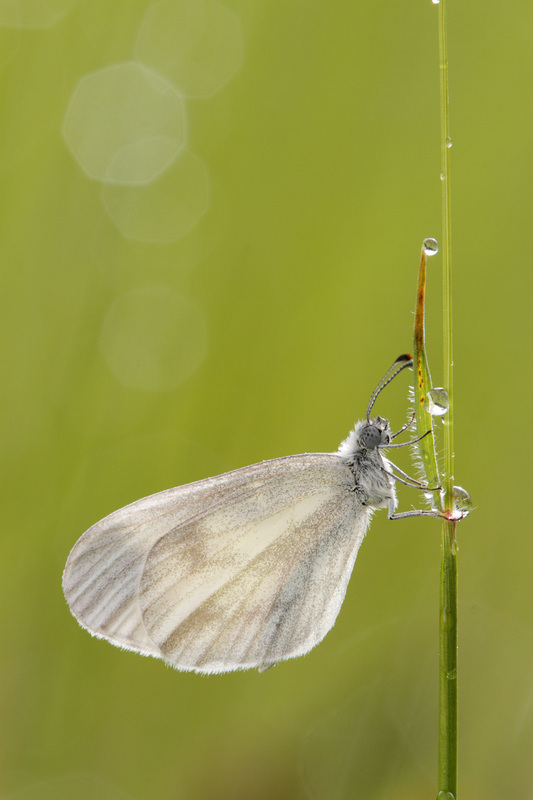 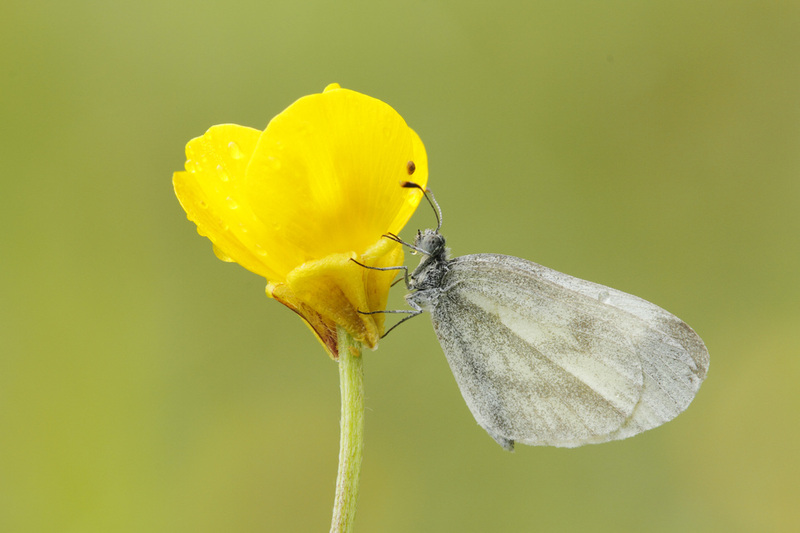 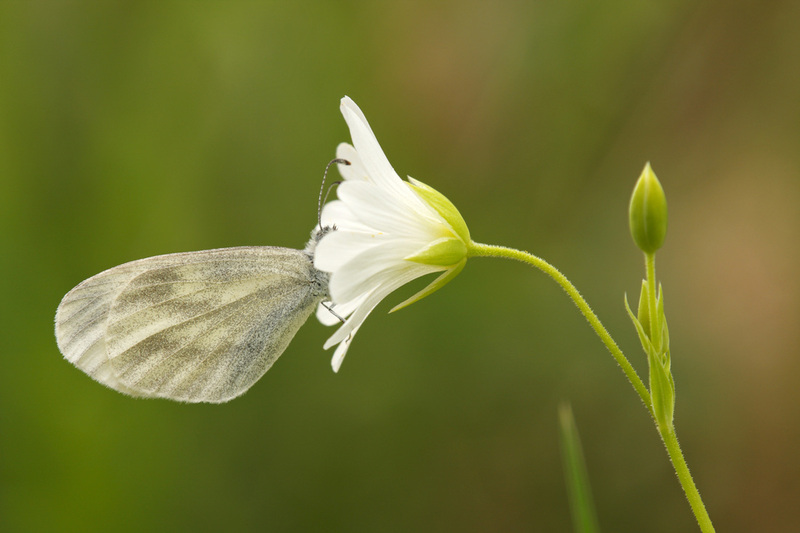 This little butterfly has much narrower wings than the typical whites. The upperside is basically pure white and, although the veins may be lined with grey scales, the only obvious mark is a dark smudge near the tip of the forewing. In the first brood the smudge is solid grey in the male and reduced to streaks along the veins in the female. 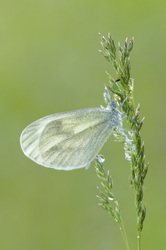 In later broods the patch is smaller and darker in the males and virtually absent in the females, whose wings are almost pure white. The underside is smudged with grey. Flight from April to September in more broods. The larval foodplants are Meadow Vetchling, Tufted Vetch and Birds's-foot Trefoils.